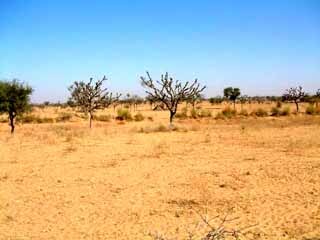 2012 drought in India, Pakistan, the Sahel, USA and the Amazon caused by the atmospheric Arabia-Pakistan Dust Cloud. Best example of the "Butterfly Effect" from Chaos theory acting on weather, where bare soil creating atmospheric dust, causes droughts elsewhere on the planet. This is the first time in history, where humans could develop the ability to manage weather extremes--floods and droughts--on a large, country-wide scale. Copyright © 2012 by Craig Carlton Dremann, all rights reserved. Permission is granted to copy and post any of these images or texts, or share them in any electronic medium, as long as the source is noted. Each year, the Arabia-Pakistan Dust Cloud is our planet's strongest controller and modifier of the summer rainfall from India through the Sahel and equatorial Africa, and then across the Atlantic to the Americas. 1.) Block the westward flow of moisture, so that there are floods in parts of India and produces drought in Pakistan. 2.) Openings in the Dust Cloud can trap the monsoon moisture in place, like in Pakistan in 2010 from July to August, that you can see at http://www.ecoseeds.com/floods.html. Super Cyclone GONU trapped by the Dust Cloud in the Straits of Hormuz in 2007. The rainfall image above [from the Pakistan Weather Portal] is a very bad image to see, and shows the power of the atmospheric dust over Pakistan. The dust backs up the moisture and causes flooding and drought more efficiently than if you has a mountain range stopping that moisture. For example, the USA is experiencing the worst drought in 50 years, because the dust cloud hovering over Arabia is blocking the westward flow of monsoonal moisture from India to the USA. 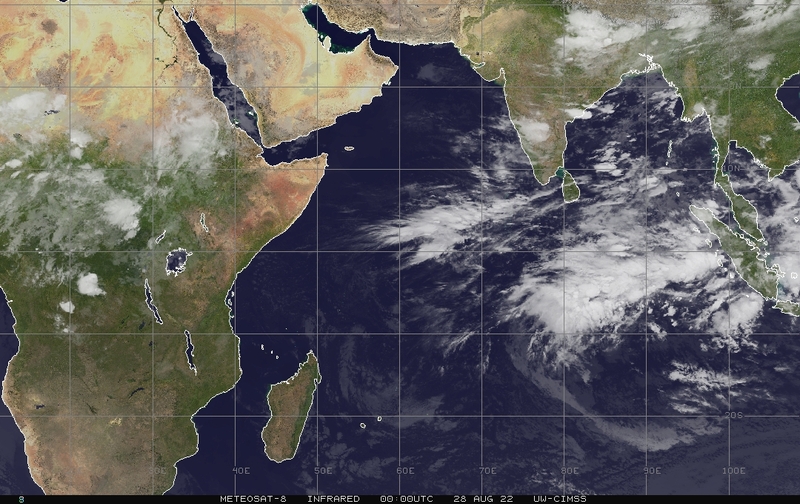 Today, you can see upstream of Pakistan where the monsoon originates north of Australia, at http://www.ssec.wisc.edu/data/comp/latest_cmoll.gif, a huge amount of clouds are gathering to move westward. The position of the atmospheric dust over Pakistan and Arabia will dictate if Pakistan and the Arabian peninsula will be in drought conditions in the next 30 days, or experience massive floods. Do not expect normal conditions for the monsoons in Pakistan from this year forward, until the atmospheric dust cloud over Pakistan is recognized and managed. The dust cloud is the most powerful controlling factor for rainfall on the planet, and since it is man-made, we have the ability to manage it. Arabian peninsula to start managing this dust cloud, so that all of the peoples west of India can get consistent and normal rainfall each year. droughts or floods in the future. Reference: http://www.ecoseeds.com/cool.html.. I have attached July 27, IR satellite plus the NAAPS dust image, and you can see the wall that the dust makes to stop the westward movement of the monsoonal moisture. One the other hand, you see where in northern Pakistan, the Dust Cloud is absent, which means that there is a potential for the moisture to move in that direction and cause flooding. The dust also shows the critical areas that need the first attentions for natural revegetation using the local native plants, to cover the soil and keep the dust from getting airborne in the first place. I have attached the monsoon-dust battle images of July 28 from the India/Pakistan border, with X on the spots where the dust is originating that is causing the problems. I have attached today's Dust Cloud and cloud images, and you can see the blocking edge of the Dust Cloud roughly at the Pakistan-India border. All of the other monsoon influences are insignificant compared to the Dust Cloud, and needs to be monitored and start to be corrected on the ground. When the Dust Cloud is thick, there is drought in Pakistan and floods in India by its blocking effect. Then, if the cloud goes away over Pakistan like in 2010, then the floods come, because there is nothing between India and Pakistan to block that rainfall, except for the Dust Cloud. I am hoping that sometime this year, a meeting could be organized in Pakistan at least, to invite meteorologists, government officials and ecologists to start a discussion about the Dust Cloud. It might be a good meeting to also invite representatives from India, because their western man-made deserts along the SE border of Pakistan is a source of the Dust Cloud. 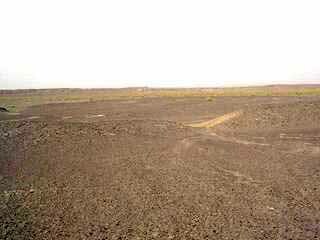 Establishment of Ecological Restoration preserves, as I am suggesting for the Arabian peninsula at http://www.ecoseeds.com/cool.html, the currently barren lands where the Dust Clouds are originating, need to be established as preserves. Instead of grazing that land to dust, which then gets blown into the air as the Dust Cloud, those people need to be paid to replant the local native vegetation, to keep the soil from getting airborne in the first place. That could be accomplished by selling Carbon Credits to Europe for the carbon that those replanted native plants will sequester in the soil, for each hectare replanted. The atmospheric dust cloud is successfully keeping the monsoon away from Pakistan, and the mini-Dust Cloud in India, is acting like a rock in a stream, and forcing the monsoon moisture to split as the monsoon moves westward. The paradox of the Dust Cloud, is where grazing has removed vegetation, that is the home of the Dust Cloud, which then creates more severe drought conditions, and starts a feed-back cycle, to create more severe drought, as more dust gets airborne, etc. When grazing the home of the Dust Cloud, leaving a few centimeters of standing vegetation to remain, instead of grazing to bare ground, would begin to cure the Dust Cloud. One permanent cure, would be to revegetate the Dust Cloud homelands with the original native perennial grasses and local native trees, and to pay the local people to protect those areas as Ecological Restoration preserves, instead of using the Dust Cloud lands for animal fodder. Fixing the Dust Cloud homeland vegetation cover is essential for the peoples of western India, Pakistan and the United States, because we all depend on the monsoonal moisture to grow our crops each year. August 8, 2012 dust, IR clouds and 24 hour rainfall. Dense clouds at the Pakistan/India border trying to move westward to provide rain for the people of Pakistan, but the Dust Cloud is holding firm. However, the rain clouds can go around the Dust Cloud, by going to the north, as you can see from the HAMweather.net rainfall map. August 10, 2012 - Pakistan-Arabian dust stops rain to both Americas. I was noticing today, as well as the Dust Clouds in Pakistan and Arabia causing drought in Pakistan and the USA, it is also causing the worst drought in 100 years in the Amazon, if you Google <drought Amazon August 2012>. You can see this impact by watching http://www.ssec.wisc.edu/data/comp/latest_cmoll.gif. 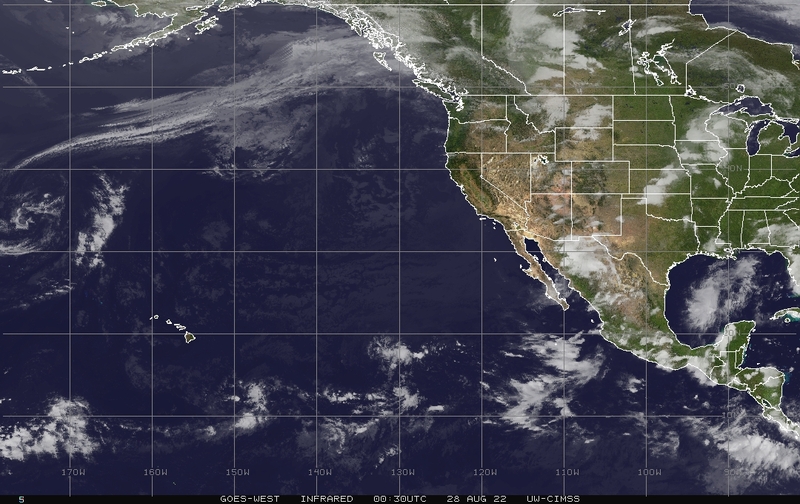 Only central America is getting rainfall this summer so far. August 13, 2012 - DUST CLOUD could kill a million children in the Sahel. The Pakistan and Arabia atmospheric Dust Cloud, this week, while blocking the India monsoon moisture, and causing the worst droughts in decades in North and South America, is also producing drought in the Sahel of Africa, and one million children may die. See Google <August 2012 drought Sahel>. It is truly amazing how the land management of two key places on the planet, Pakistan and Arabia, can impact on so many hundreds of million of people on three continents. If our domesticated animals are allowed to eat the wild grasses too short in Pakistan and Arabia, then millions can die in Africa. Perhaps an annual payment could be paid by the rest of the world, to pay the people currently grazing those areas, to preserve and replant those key grassland areas as Ecological Restoration Preserves instead, so that millions will not have to starve? Attached is the image from today showing the Dust Cloud blocking the monsoon and only thin to no rain clouds over the Sahel, where the starving children live. August 18, 2012, FIXING THE SOURCE-LOCATIONS of the Dust Cloud. India and Pakistan are homes of the atmospheric Dust Cloud, and you can see pictures on-the-ground at http://www.ecoseeds.com/africa_india_megatransect.html. Confluence.org on-the-ground photos are used with permission. India, 5.1 km (3.2 miles) NE of Pimpalgaon, Andhra Pradesh, 19N 78E. India, 3.8 km (2.4 miles) ESE of Fatehpur, Rajasthan, 28N 75E. Pakistan, 8.9 km (5.5 miles) SSW of Ware Sahib Chah, Balochistan, 29N 62E. (Sand storm was blowing when this picture was taken August 15, 2006). Since the atmospheric Dust Cloud is more powerful than a Super Category-5 cyclone like Gonu in 2007, the only way to solve this man-made problem is to patch up the barren earth with local native perennial vegetation, and no bare soil is exposed to get airborne each summer and interfere with the monsoonal moisture. This atmospheric Dust Cloud is a perfect example of the Mathematical Chaos theory model of the "Butterfly Effect", where a seemingly insignificant change, like some cattle or sheep eating some wildland grasses and creating bare soil conditions in Pakistan or India, can cause a drought in North Africa in the Sahel, or in North America and the Amazon basin. Here are two proposals for the revegetation of the Dust Cloud source-locations in India and Pakistan. A strip of local native annual grasses, wildflowers, perennial grasses and native trees are replanted in a north-south line, and eventually covering all of the bare soil areas, working towards to Hyderabad. This should bring the whole area up to at least 80 cm of annual rainfall on a regular basis. August 20, 2012 - HOW TO FIX the Dust Cloud, one step is to complete the Confluence.org photos of your country. There are basic steps each country could take to fix the Dust Cloud. One of the most interesting beginning steps would be to complete any missing Confluence.org latitude and longitude photos. Those photos provide a country-wide look at the scale of the problem, and also act as beginning baseline reference photos that can be referred to, as you begin to revegetate the Dust Cloud source areas. Completing the Confluence.org photos would be relatively easy to do--all you need is a vehicle, a GPS reader, and a camera. You can drive to each point that is missing for your country, photograph it and submit it to the Confluence.org project for posting on their web site. 1= Zero plant cover, but organic matter still appears to be in the soil. This indicates that vegetation was present in the area in the last 50-200 years, so ecological restoration would be more likely to succeed in these areas with nutrients and organic matter still present. 2 = Plant cover present, should be preserved as an ecological restoration site. Confluence.org photo from Oman at 24N 57E, with an Ecological Restoration rating of 2. Two powerful words that could be our best tool--Ecological Restoration. Using the science and technologies that these two words represent, as a tool to fix the Dust Cloud, can save the lives of hundreds of millions of people who depend on the annual monsoon rains in summer. The people of Pakistan, western India, the Arabian peninsula, and the Sahel of Africa, the farmers of North America, and the Amazon basin forests are all dependent on the same regular rainfall each year. Many lives depend on us learning to use Ecological Restoration as a tool, to manage the Dust Cloud's effects of the summer monsoon rainfall patterns. The Dust Cloud is a man-made obstacle to the summer monsoon moisture, so by using our knowledge of the Dust Cloud plus Ecological Restoration, we should be able to fix it. August 21, 2012 - The Dust Cloud image from today, shows that there is a possibility of part of the monsoon to move north of the Dust Cloud, to produce rain wherever the Dust Cloud is not covering Pakistan in the north. However, if you look upstream where the monsoon originates, north of Australia, there is a lot of moisture being generated, and wherever there is an opening in the Dust Cloud also can produce the potential for floods in the next 10 days or so. The Dust Cloud is like a double-edged sword, and the other side is that whatever parts of Pakistan and western India that the Dust Cloud covers each day, is nearly guaranteed to continue with drought. triggered by heavy rain have killed at least 26 people..." or "A Pakistani girl sits in her house flooded by heavy rains in Nowshera, near Peshawar, Pakistan on Wednesday, Aug. 22, 2012." Daily Dust Cloud monitoring, could give officials at least a 24 hour warning of future flooding in Pakistan. August 29, 2012 - India and the USA today from satellite, and colors digitally enhanced. The drought in India looks much more severe than has been reported so far. India may be entering into a cycle this year, of drought creating barren land, which then keeps rainfall from falling in those areas, which makes the drought more severe. September 2012 + discussions continued here.